In the last few months, I’ve mentioned Leela Somaya’s Succulent, Savvy, Soul-full Business Revolution. I was looking for inspiration, to try to figure out something I can do to both help other people and help myself at the same time. I mentioned in a post part-way through the summit that I had some emotional breakthroughs connected with doing something to start helping others with some spiritual work. I’m still having trouble figuring out exactly what my focus is for that kind of work. But, I won a contest for the SSSBR that included a 30 minute coaching session with Leela. That felt like a gut-punch. Of course I want it! I’ve put off doing it for I don’t know how many years. I’m making so much progress internally. I’ve done all this stuff to get ready for it. 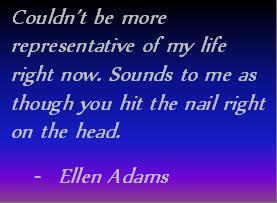 I’ve put up more posts and actually taken steps to DO SOMETHING – which is much more than I’ve done, ever. But I look at that paragraph right now, and it’s a lot of “I”. There’s no “what can I do for others?” there. And that needs to be my focus. We also talked about the ebook/workbook I’m writing and she thought that I should offer a service instead of a product first. And then create a product around my service. And I’m still not exactly sure what that service should be. But what I *can* do, right now, is give Tarot readings. 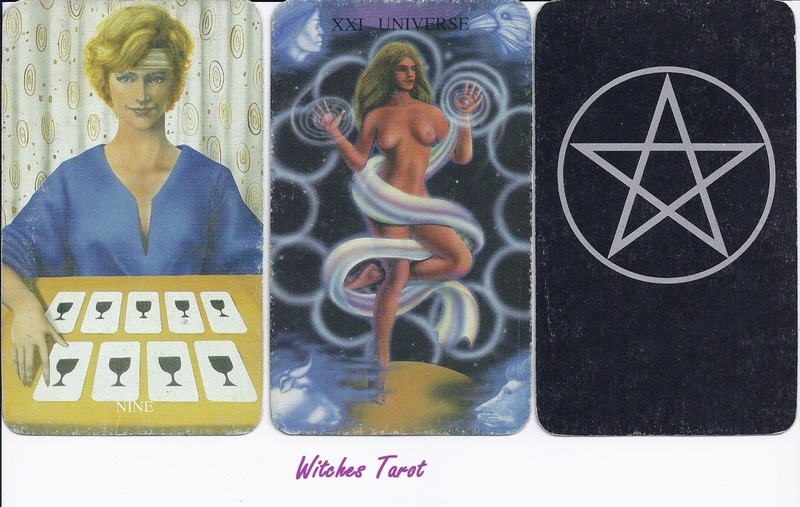 I’ve been interested in Tarot since I was a teenager, and began giving readings for fun in my 20s. I’ve only rarely charged money for it, and usually much less than the going rate for that kind of thing. In my bad money times, I thought about doing readings in a local metaphysical store, but never got up the nerve to ask how to get started in the store that used to be near me, and now that store is closed. I used to think that I had to do the readings in person, because it’s simple to connect with a person that way, and read their body language and energy during the reading. 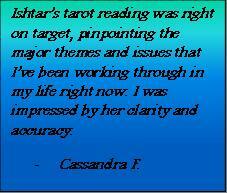 But last month, I had a reading done online by Jess Carlson. I was astonished at how good it was (and if you don’t trust me because I’m just getting started online, buy from her. Seriously. She’s good. And I’m not an affiliate for her. If she had an affiliate program, I would be). She’s a Wild Sister, so I contacted her and asked a few questions. My style is completely different from hers, but she provided some good guidance. I took a chance, and decided to do this. 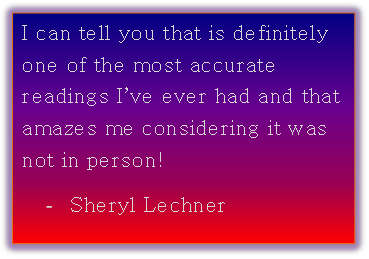 I offered a few people test readings to get used to the format, and get some feedback on how the readings went. I was nervous at first, scared that it wouldn’t go well, that I couldn’t do it in this format. But the response has been amazing. 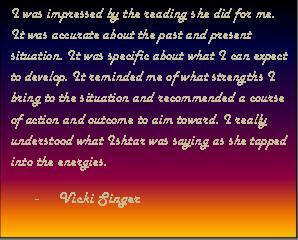 So far, each reading I’ve done has seemed to help the people I’ve read for. I remember when I first started tutoring and I’d come home from my sessions so jazzed that I seemed to be helping those kids. And now, I feel the same way about this. If I can start here, and help people. . . Well, for one thing then I don’t feel totally useless. 🙂 But I also do want to help people reach clarity about issues in their lives, to help them look within and overcome their own fears and insecurities, to help them be strong. And this is a beginning to getting there. If you ever wanted to get a reading, I’m having a sale for the month of April, offering rock-bottom prices. I’d also appreciate it if you could spread the word. Post links on your Facebook, Pinterest, and other social media accounts, please. Tell people you know who may be interested, as well.